One of the most powerful features that Sumwise introduces is the concept of row and column structure that can be referred to directly in formulas. 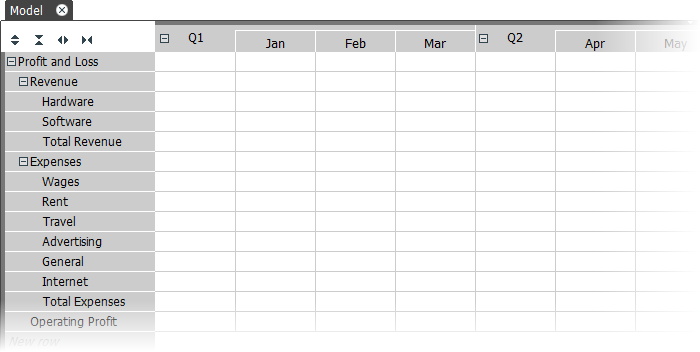 In Sumwise, rows and columns can be nested underneath other rows and columns. This enables you to collapse and expand various parts of your model, and focus in on the areas that you are interested in. The concept of structuring data is not new or unfamiliar (at least as far as rows are concerned), but Sumwise applies this concept to a spreadsheet and takes it to a whole new level (excuse the pun).